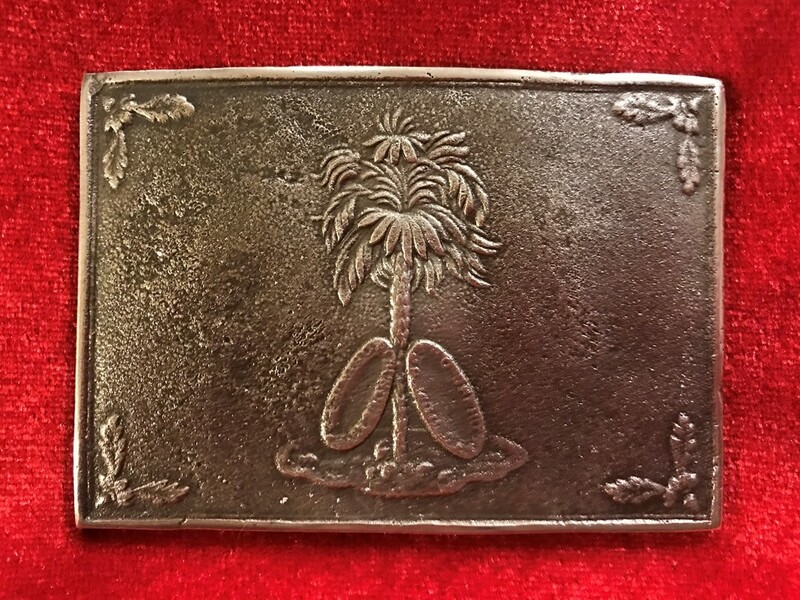 TG-2 - South Carolina Two Piece. 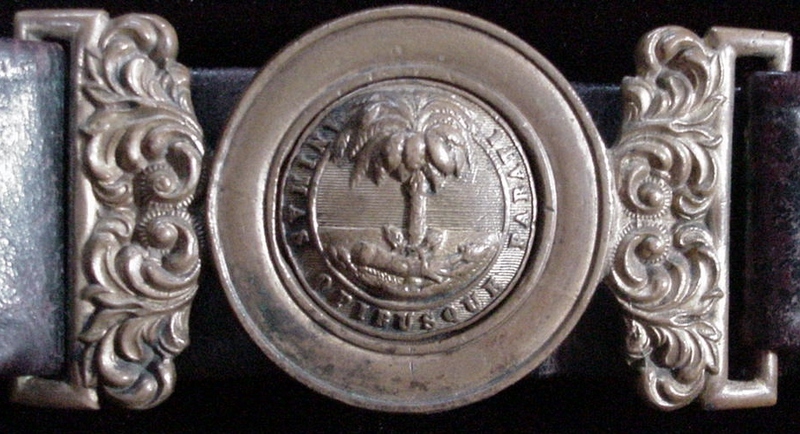 (nickel silver) Circa- 1851. 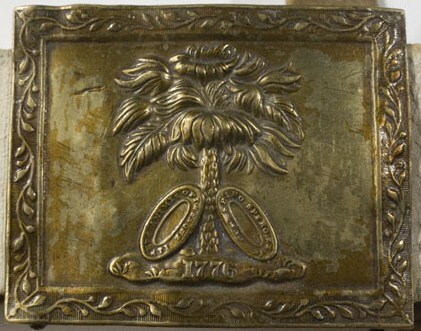 These belt plates, origin England, passed through the blockade for Confederate use. 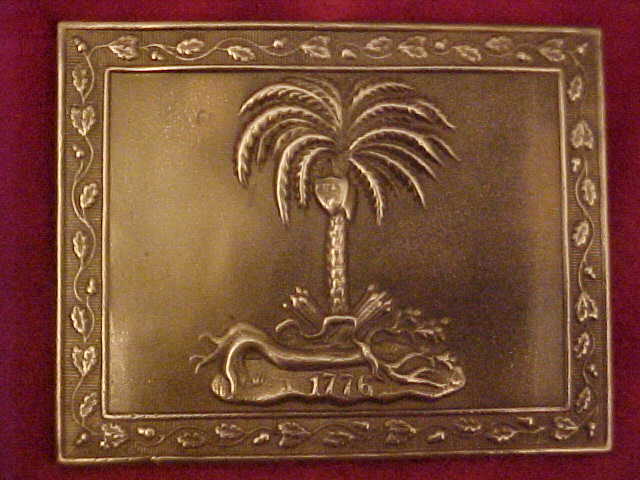 Pattern artwork very detailed. 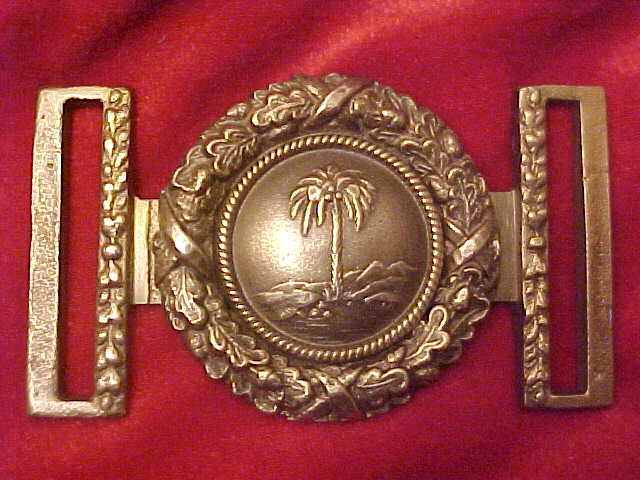 Original South Carolina two piece on leather belt. 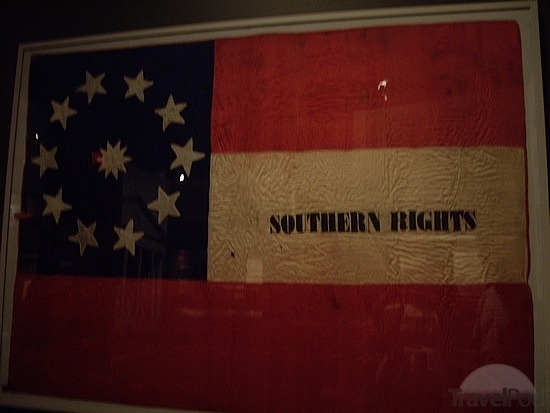 Same type as my reproduction TG-2 South Carolina two piece. 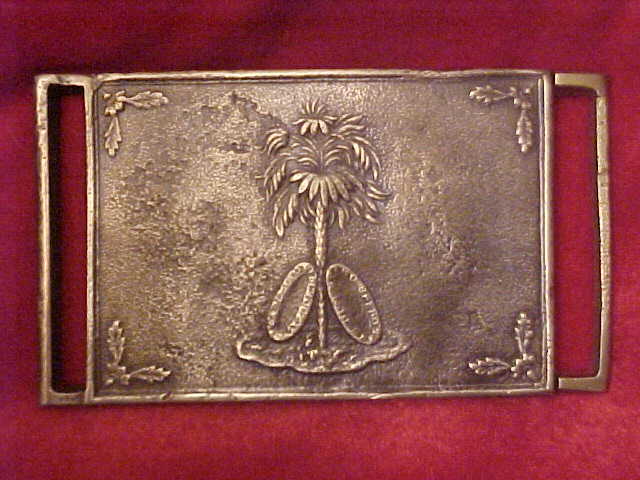 Originals were silver plated or nickel silver. 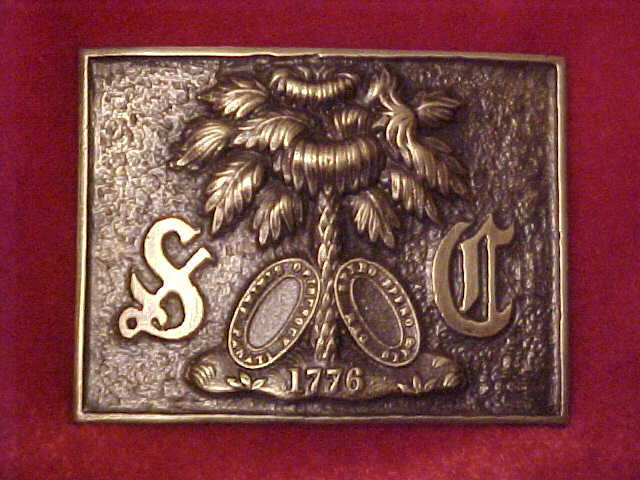 Original South Carolina belt plate. 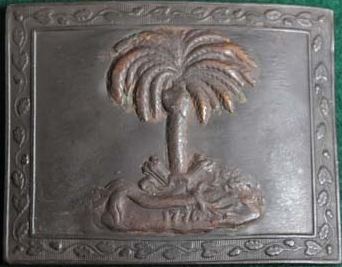 Same type as the G-75 below. 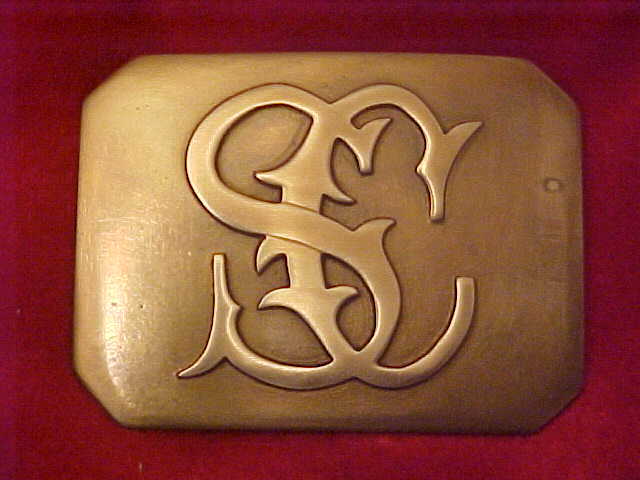 Original small South Carolina of the T-98. 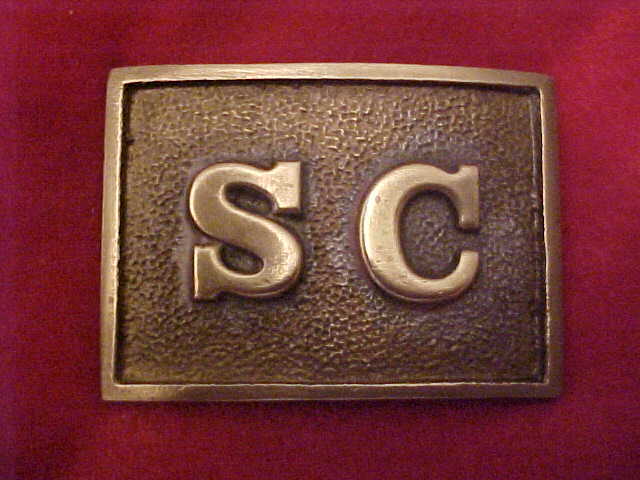 I have dug two of the small S.C. belt plates from the Defense Lines around Richmond in the Highland Springs area. 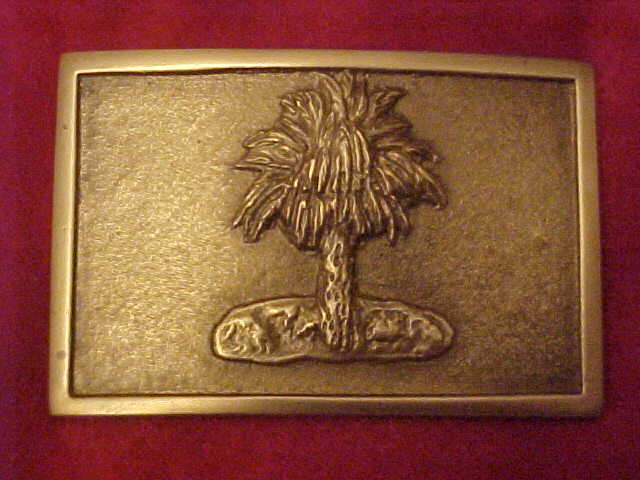 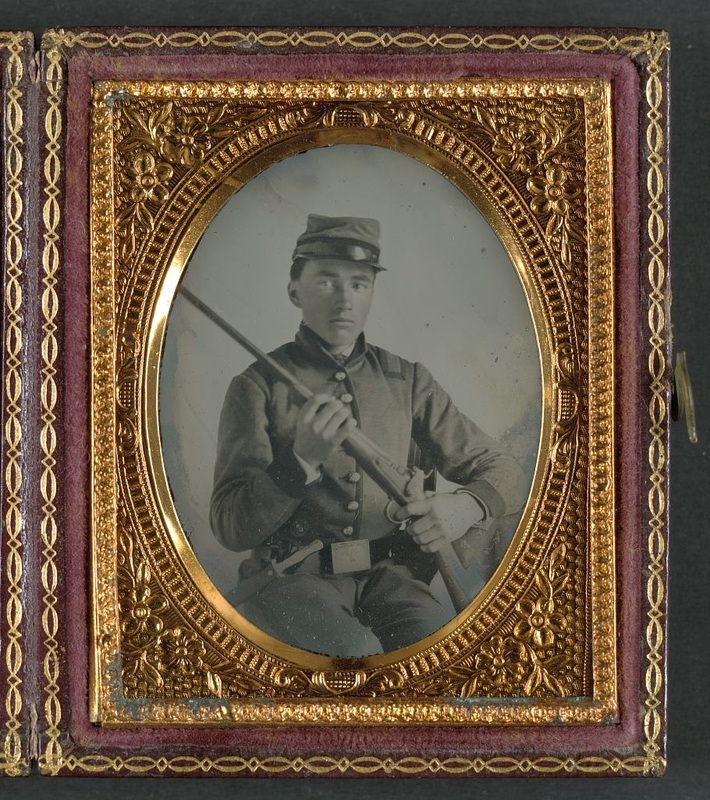 South Carolina soldier wearing a South Carolina two piece belt plate. 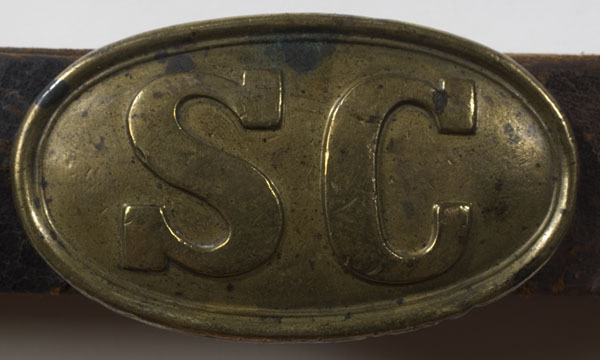 TG-SCULI South Carolina Union Light Infantry Two Piece. 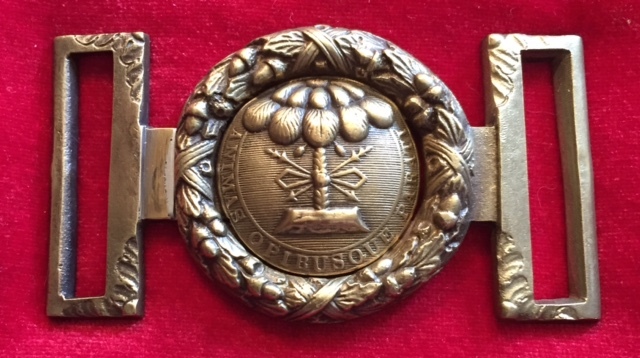 Circa pre-war and organized 1808, South Charleston, Scottish Regt. 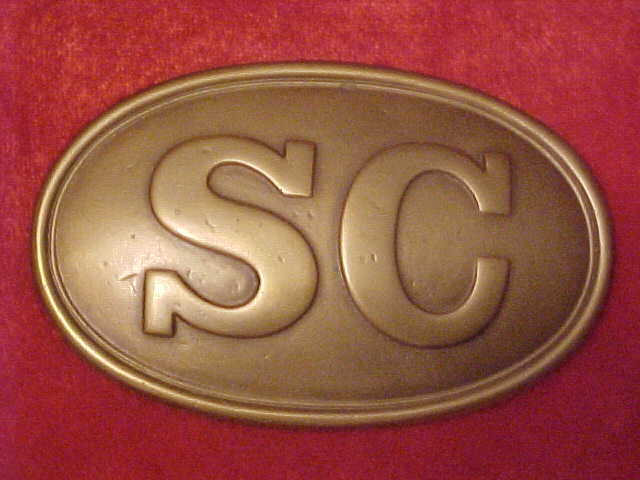 S.C. 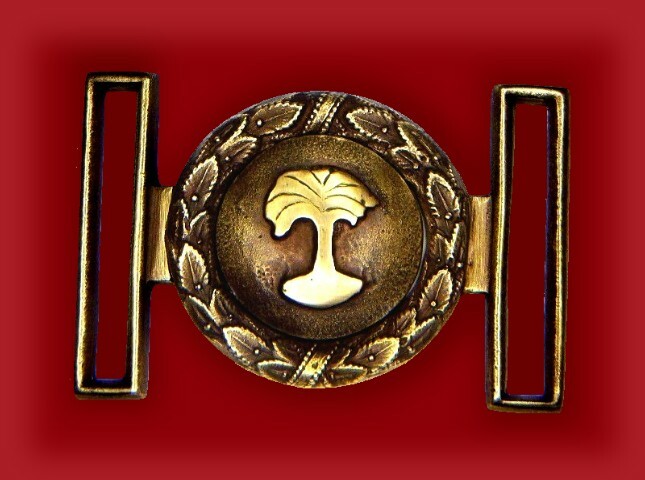 Soldier is wearing the T-100. 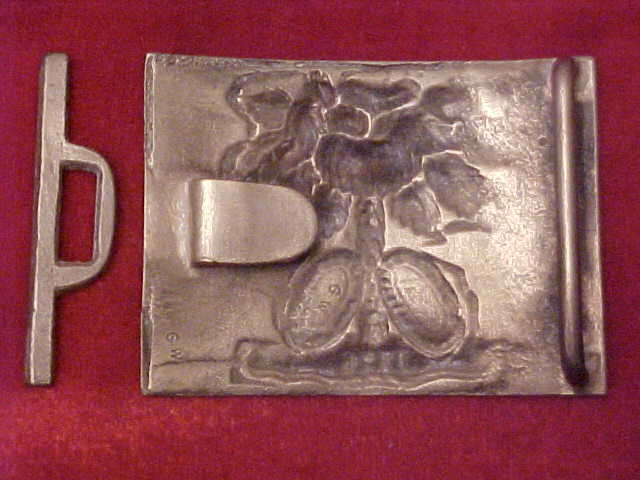 Original backing with the belt keeper. 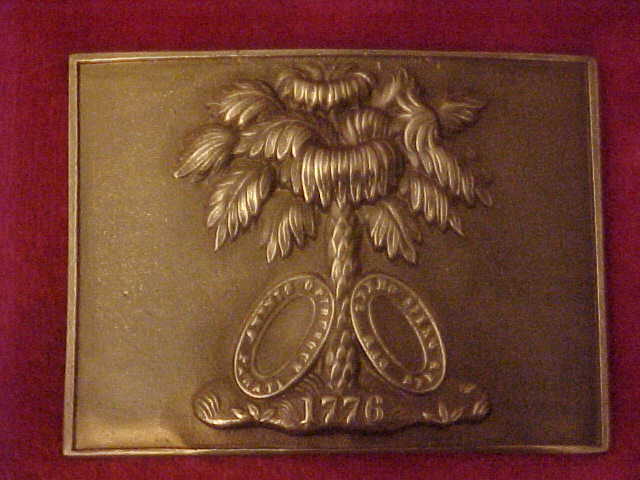 G-71 (large) South Carolina Belt Plate (Solid Brass) Maryland-Steuart Collection. 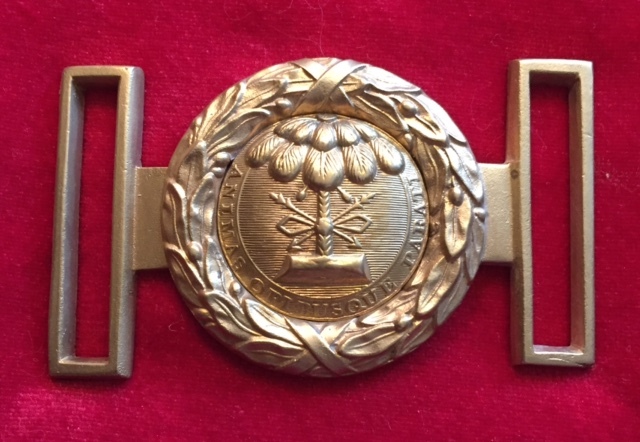 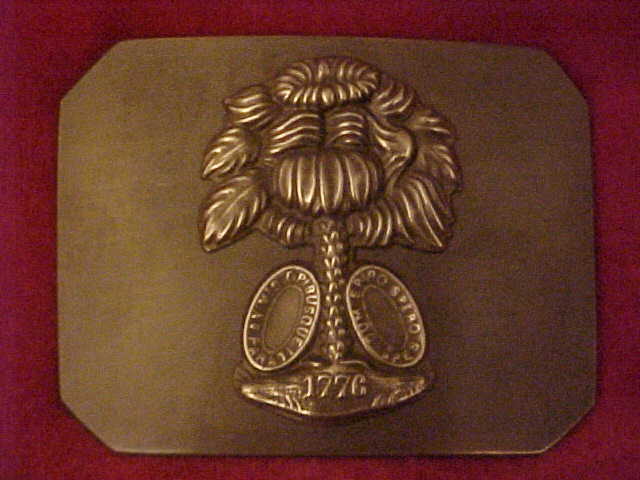 T- 98 (small) South Carolina Belt Plate (Solid Brass) original dug Williamsburg,Va. 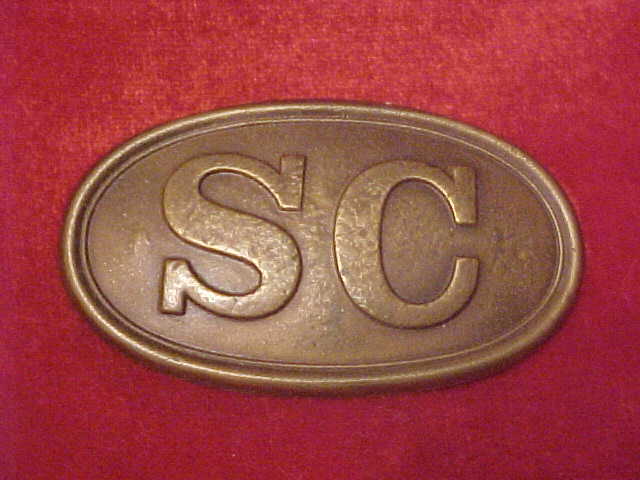 1960's South Carolina Cross Belt Plate. 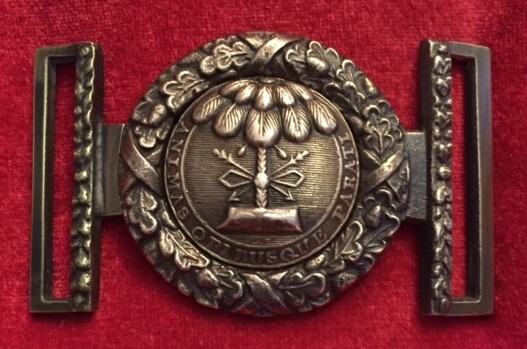 On this reproduction the detail is very shallow and hard to read the motto. 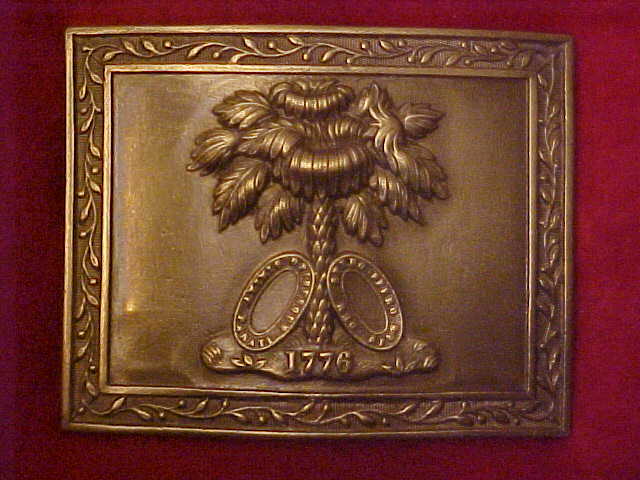 Original always has great detail and no way compares to the reproduction. 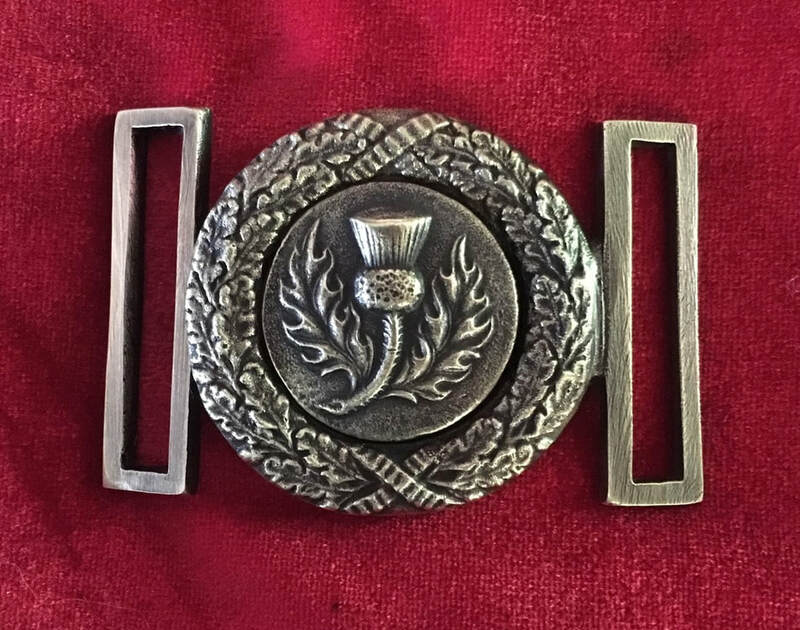 Not for sale on this site. 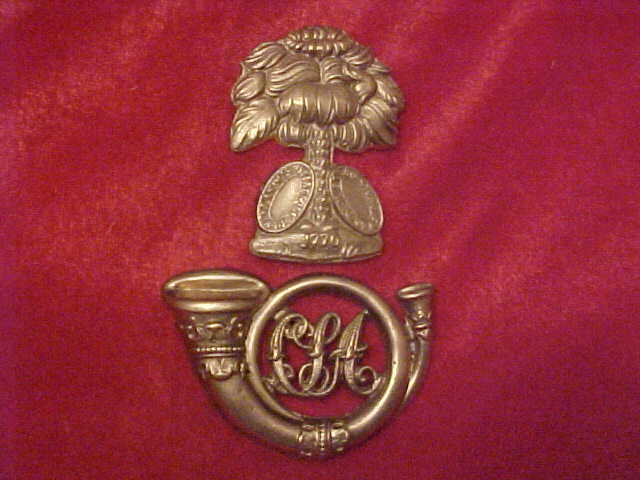 TG-BEE South Carolina Hat Pin & CSA Bugle Hat Pin. 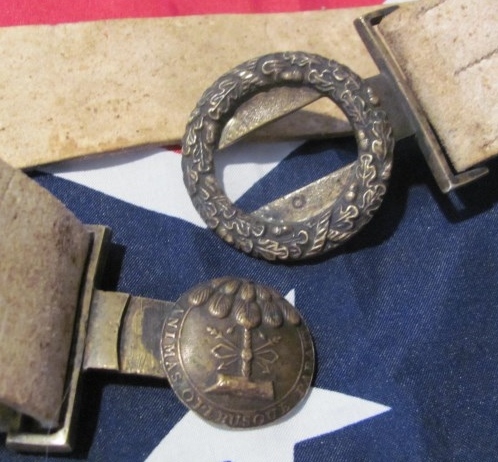 These two pins were taken from the cap of General Bernard E. Bee who was mortally wounded at the battle of Manassas, VA and given to Stonewall Jackson. 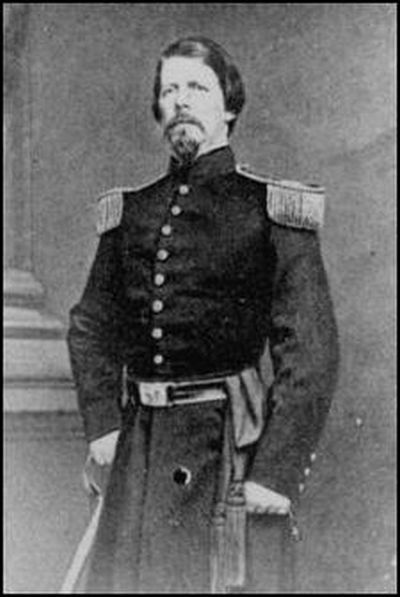 Bee said there stands Jackson like a Stonewall and this is how Jackson got the name Stonewall. 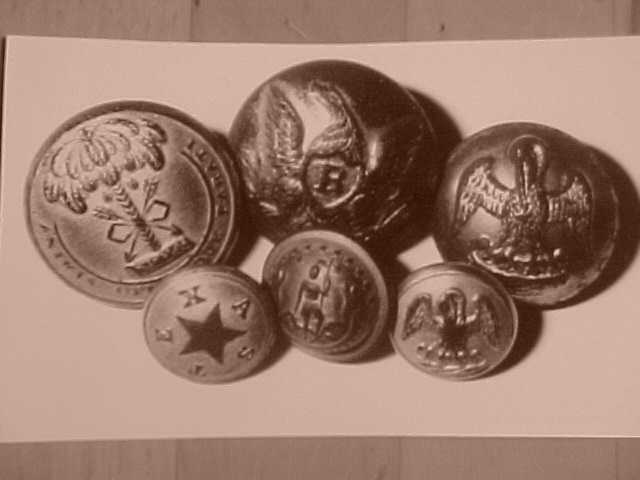 Both pins copied from the Maryland-Steuart Collection Virginia Historical Society. 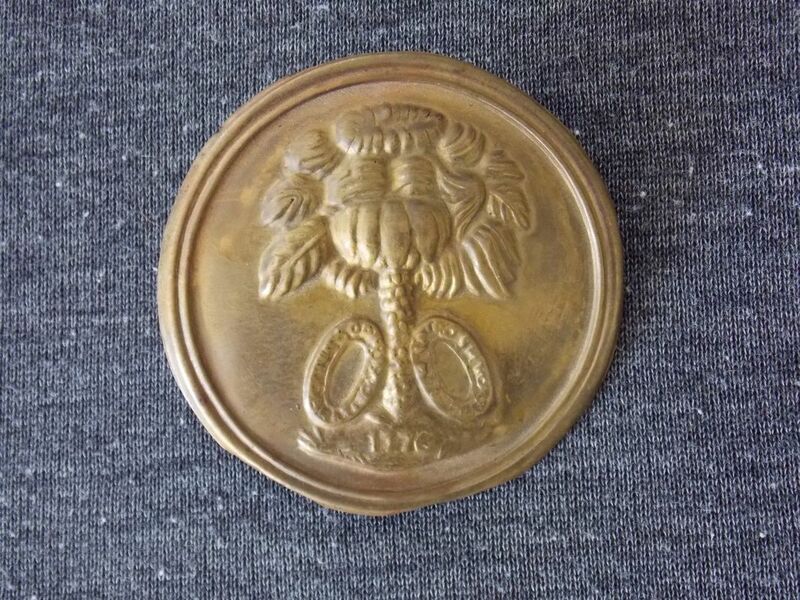 Each Bee Hat Pin sold seperate. 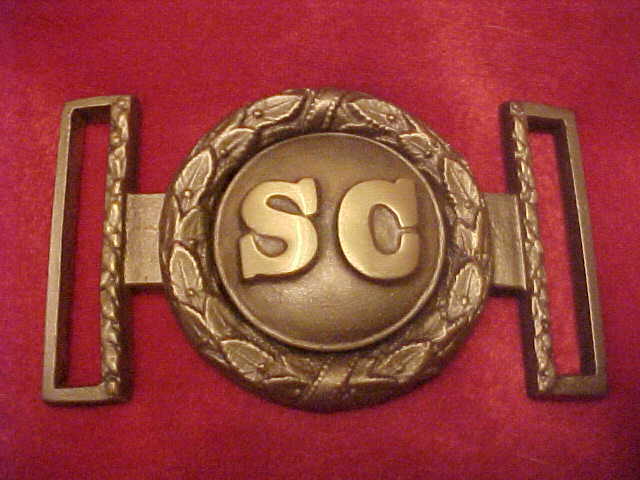 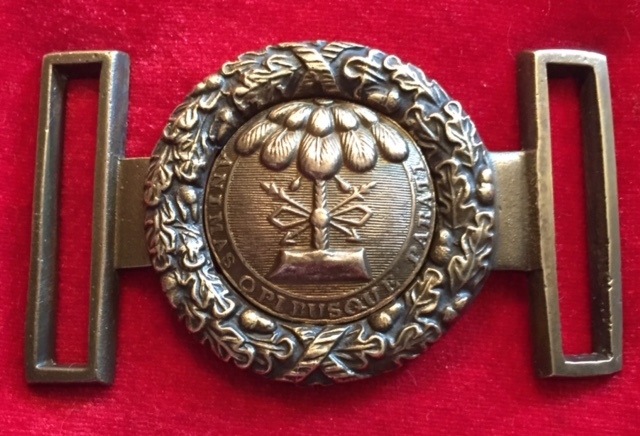 You can order on the Oval CS , CSA Buckles and Hat Pin page. 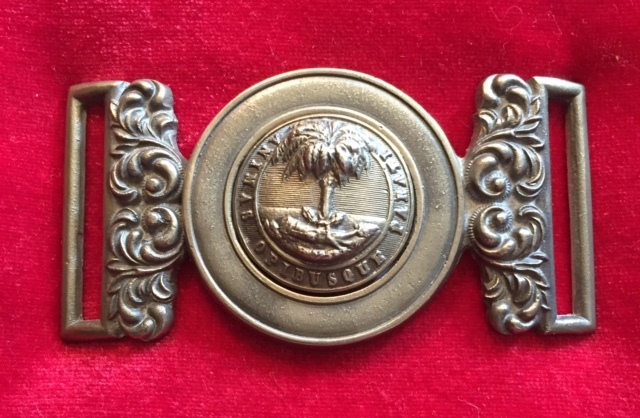 Original South Carolina on a buff belt. 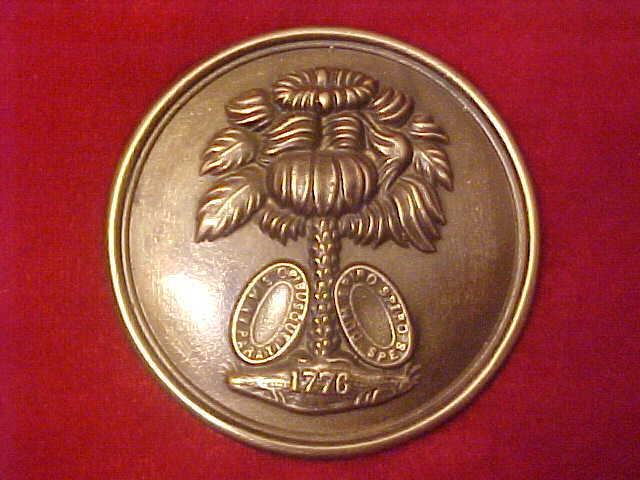 Same type as my G-74 reproduction.